Kyriakos of Crafts World has been experimenting with Worbla for various projects with fantastic results. 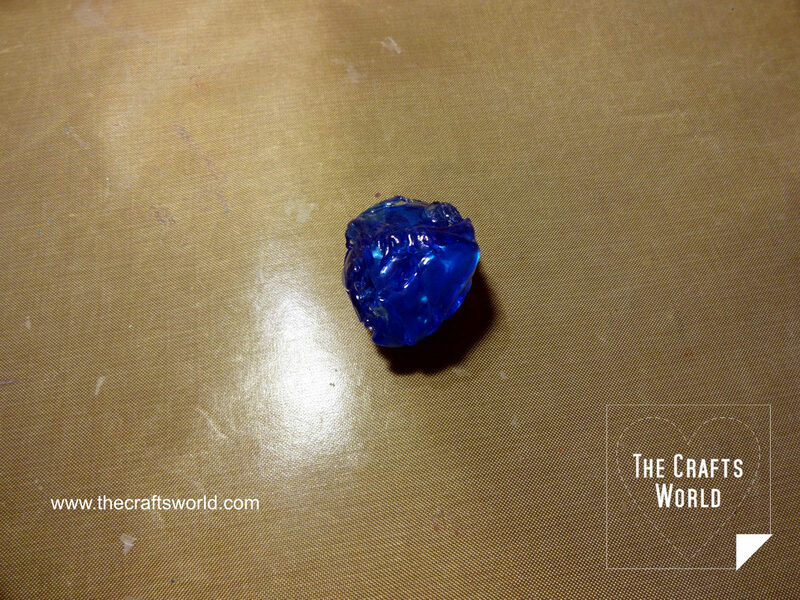 Below is the tutorial for the Crystal Beaded Necklace he made with Worbla’s TranspArt. 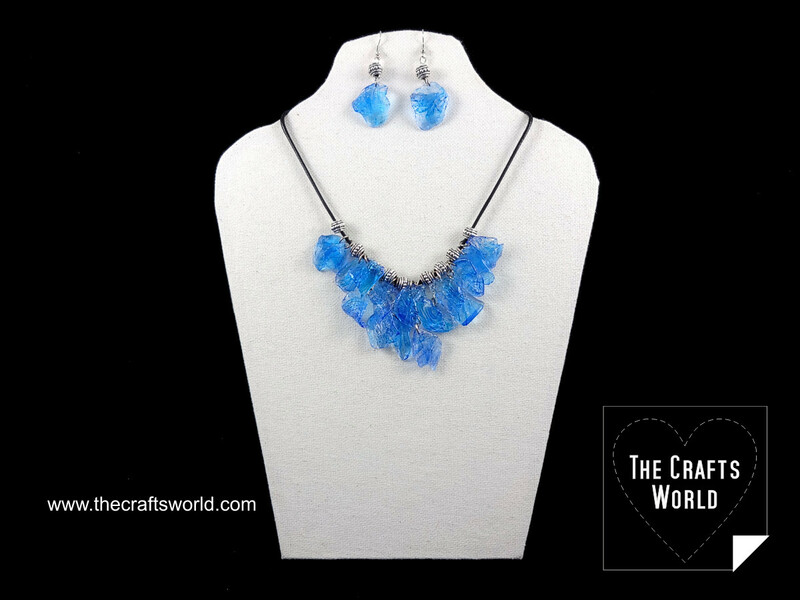 Faux gemstones necklace made with a transparent sheet of Worbla that is colored with StazOn inks to give an impression of raw cut blue stones. 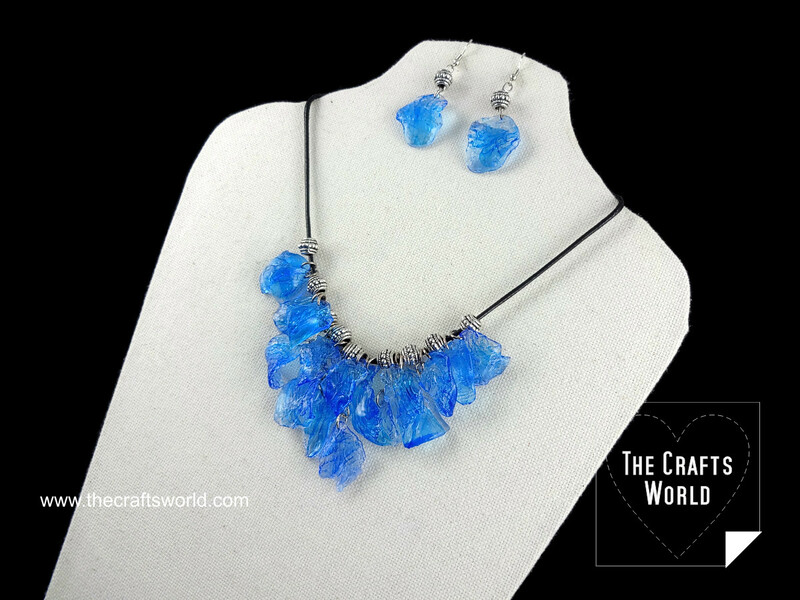 Craft your own faux gemstones with a Worbla transparent sheet and make a necklace one of its kind. Easy to make and to adapt the faux stones to the colour of your choice, just by choosing a different inkpad. Add more faux gemstones, beads and pearls to alter further. 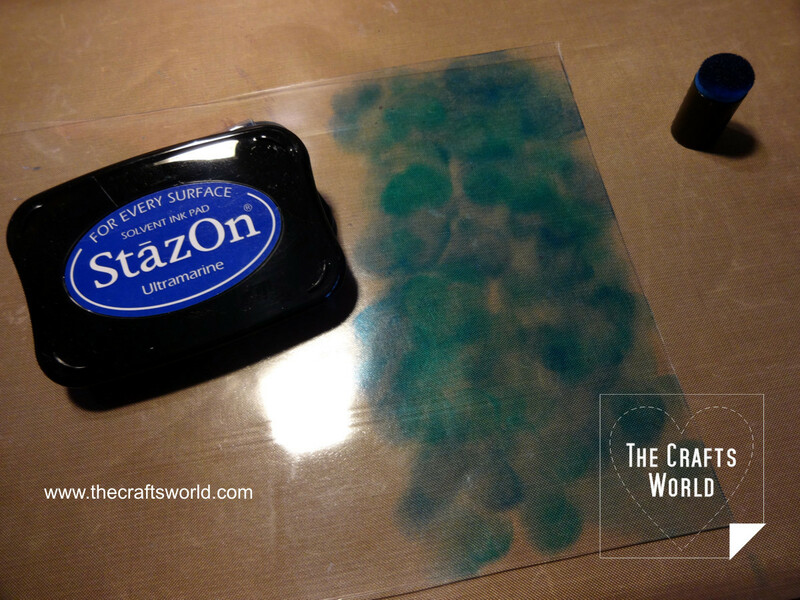 Using the sponge dauber lightly cover about 5x18cm surface of the Worbla transparent sheet with the StazOn Ultramarine and Tea blue colours. Cut the coloured piece. 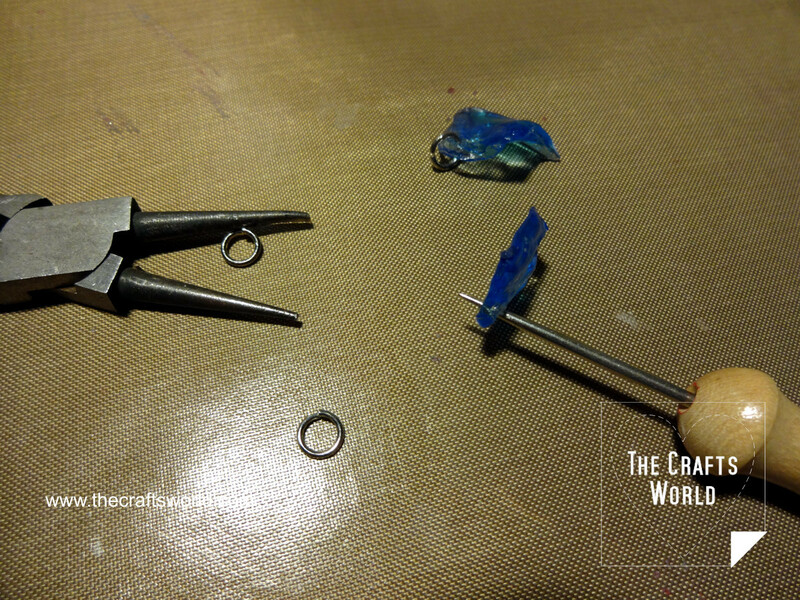 Using a round rolling tool, flat a bit the Worbla ball and cut small pieces with a pair of scissors. Heat each piece and flatten further. Remember to heat before cutting the pieces as the Worbla will harden and become difficult to cut. 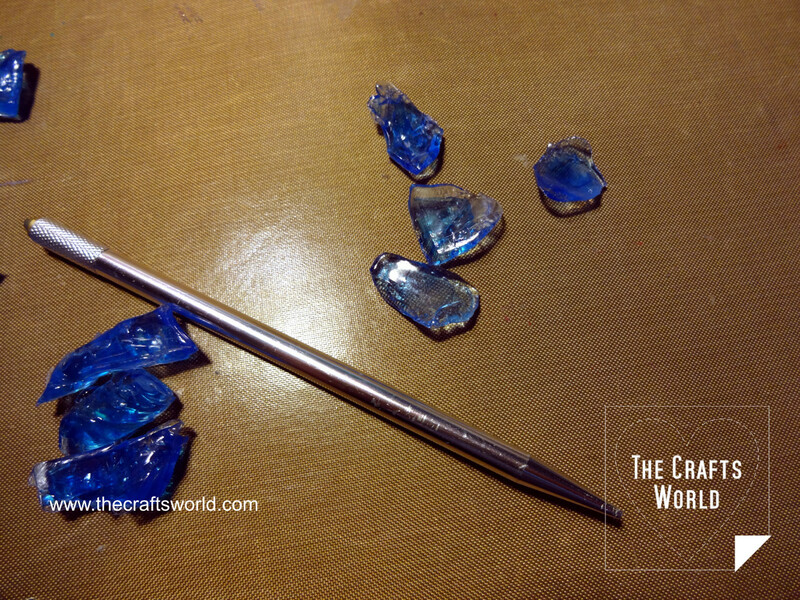 Open holes with a piercing tools close to the edge on each of the flatten pieces. Place a jump ring with the round nose pliers. 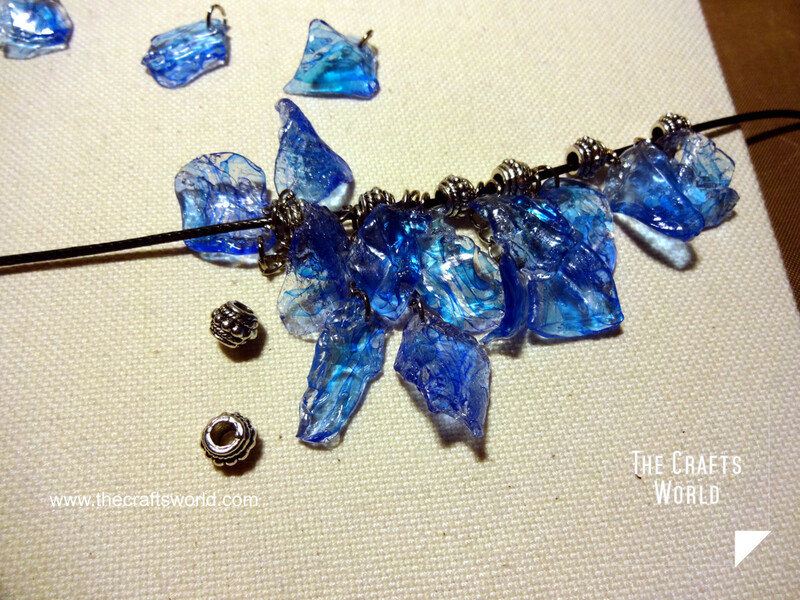 Lay the pieces and set them to the form that necklace should look. 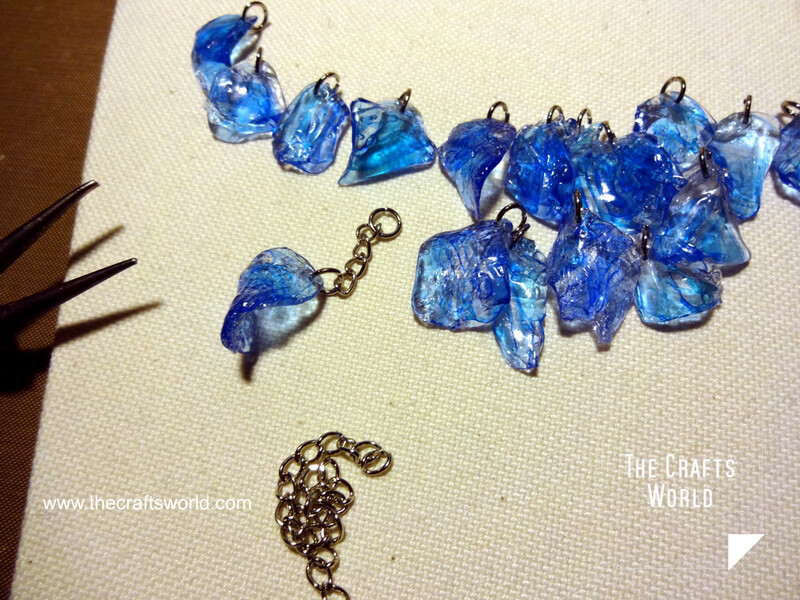 Add some chain on the pieces that need lay longer on the cord. Place the faux gemstones with metallic beads on the leather cord and set a clasp lobster and a cap end.